Continuing To Serve In St. Louis, Mo. : Participation Nation The Mission Continues challenges military veterans to use their knowledge and skills to serve and lead in communities across America. Joe Rosner of The Mission Continues. The Mission Continues challenges military veterans — returning home from duty — to use their knowledge and skills to serve and lead in communities across America. Marine Corps veteran Joe Rosner served a full-term enlistment. Back stateside, he felt a strong desire to continue his service in his community. 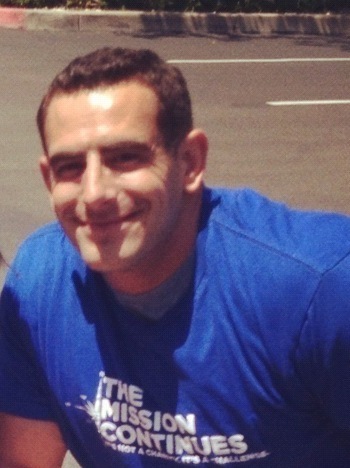 Through The Mission Continues, Joe volunteers at the Challenged Athletes Foundation in San Diego. There he assists disabled athletes, encouraging them to try new activities and overcome challenges. Celebrating its fifth anniversary this month, The Mission Continues believes that the leadership veterans provide is needed here at home now more than ever. Caitlin Harvey is communications associate at The Mission Continues and listens to KWMU.